Mom always said not to play with your food, but this is just too cool to pass up. Strawz are a set of straws and connectors that let you build a pipeline to their drink…or multiple drinks! A set of Strawz is $15. Growing up we’d get together every year with a bunch of family friends and have a big breakfast together. Occasionally they’d be “themed” in some way. If we ever got back together to do one of these breakfasts, I’d definitely suggest we make it western themed so we could use these killer gun egg fryers (pun intended). 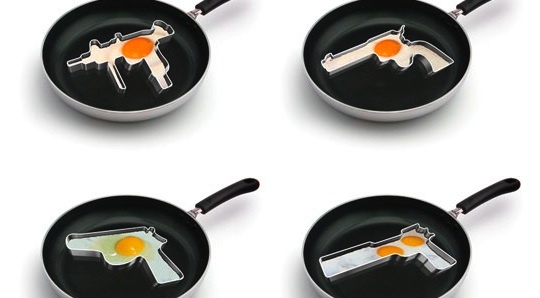 If we replaced all the guns on earth with gun-shaped fried eggs, I’m sure it’d be a happier place. You like to drizzle? Fo’ shizzle? 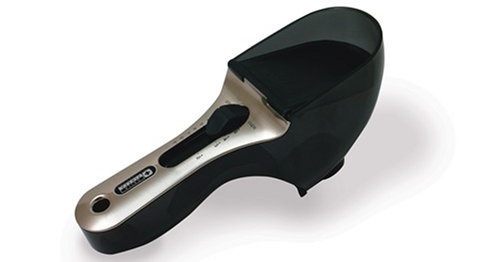 There are kitchen gadgets for just about any task. Thankfully another one has made its way to the market. The Drizzler was created to help you do just that. Drizzle. Sometimes deserts require that icing be drizzle on top. 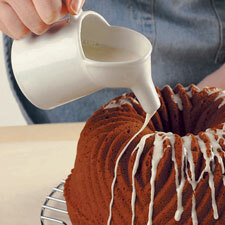 Previously you had to go the somewhat awkward and messy route of piling the icing on a spoon and then letting it drip of. No more! Pick up a Drizzler for a reasonably priced $9!